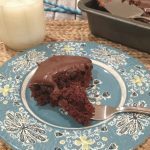 This Frosted Chocolate Wacky Cake is so special. It’s dairy and egg free and still tastes outrageous. 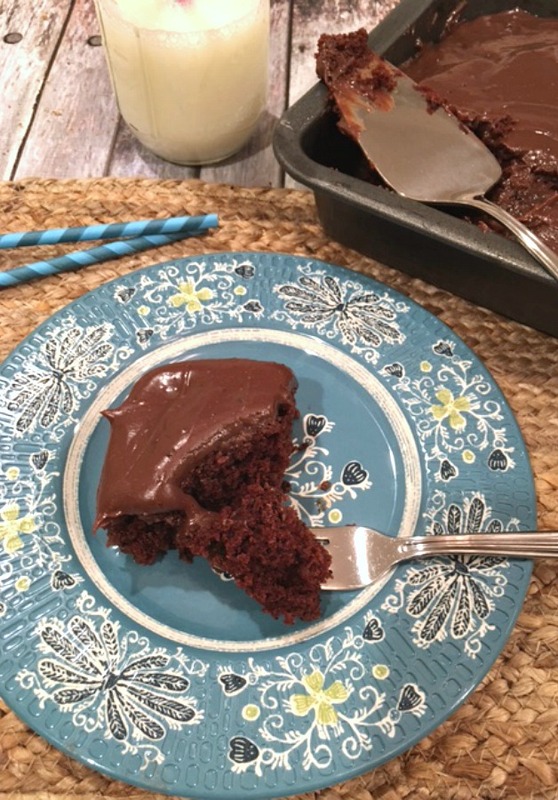 For an added bonus, I added a creamy chocolate frosting made two different ways. Check out this easy recipe and pick your favorite frosting. Enjoy the chocolate deliciousness! You have probably heard of this cake before. It has a few names like, wacky, crazy or depression cake. From what I heard, it originated around the depression when eggs, milk and other dairy products were hard to come by. It’s one of the easiest recipes around. Can be made right in the baking pan or like I do in a mixing bowl. 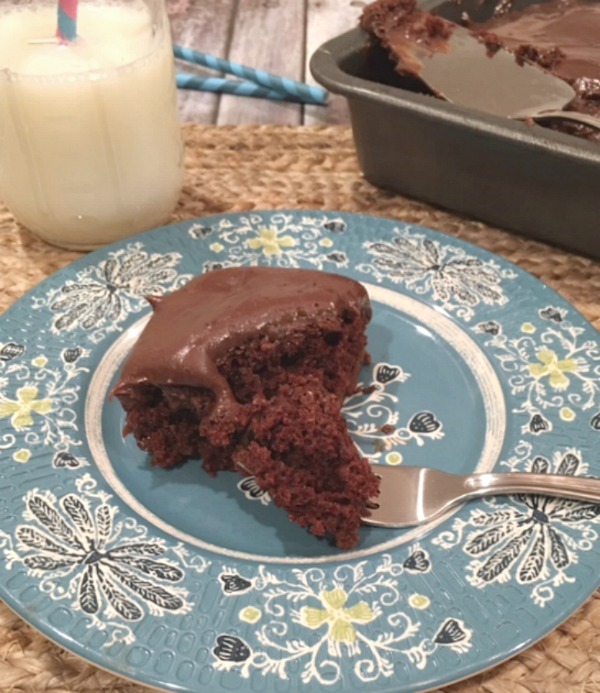 I added a fudgy and simple frosting to my recipe, but, this is so rich and dark with chocolate goodness, you may want to keep it plain. Also, check out our “Wacky Chocolate Donuts” They are really yummy and easy to make as well as this fabulous cake. Great for vegans and vegetarians. Bake one up today! Frosting: Two options for this frosting, a vegan and with dairy. Preheat oven to 350 degrees, spray an 8 X 8 inch square pan and set aside. In a large mixing bowl, combine all dry ingredients with a whisk. In a measuring cup, add all liquid and pour into dry. Start our by mixing with a whisk. Then, use a rubber spatula to scrape sides and dig deep to incorporated all dry into wet until well combined. Let batter sit for just 5 minutes on the counter. Pour into prepared pan. Smooth out with spatula. Bake from 28 to 35 minutes or until cake springs back when lightly touched on top and a toothpick comes out clean or with dry crumbs. Try not to over bake. Let cool completely. In that time make your frosting. In a medium to large mixing bowl, add melted butter, cocoa powder, salt and vanilla. Mix with spatula then switch over to a hand held mixer. Add one tablespoon of milk along with the sugar. Mix on low until all is combined. If needed add more milk. Mix until nice and creamy. Spread on cooled cake. Cut into nice squares and ENJOY! 1.Preheat oven to 350 degrees, spray an 8 X 8 inch square pan and set aside. 2.In a large mixing bowl, combine all dry ingredients with a whisk. 3.In a measuring cup, add all liquid and pour into dry. Start our by mixing with a whisk. Then, use a rubber spatula to scrape sides and dig deep to incorporated all dry into wet until well combined. Let batter sit for just 5 minutes on the counter. 4.Pour into prepared pan. Smooth out with spatula. 5.Bake from 28 to 35 minutes or until cake springs back when lightly touched on top and a toothpick comes out clean or with dry crumbs. Try not to over bake. 6.Let cool completely. In that time make your frosting. 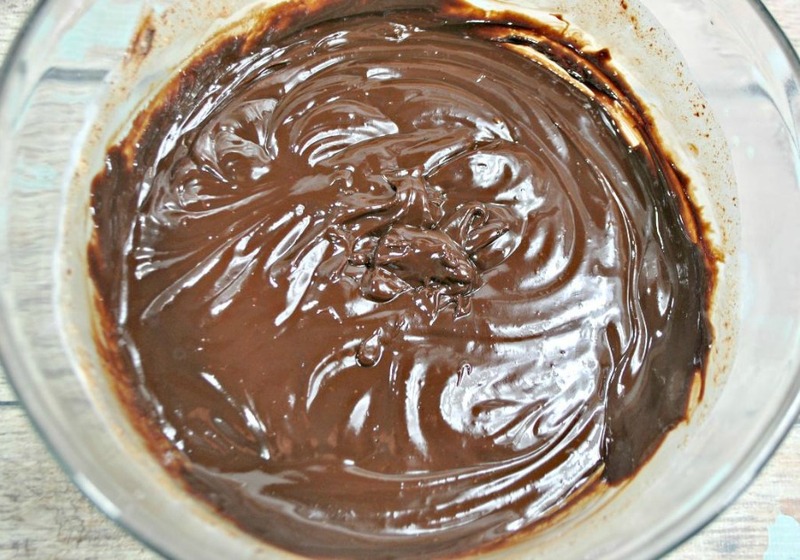 7.In a medium to large mixing bowl, add melted butter, cocoa powder, salt and vanilla. Mix with spatula then switch over to a hand held mixer. Add one tablespoon of milk along with the sugar. Mix on low until all is combined. If needed add more milk. Mix until nice and creamy. Spread on cooled cake. Cut into nice squares and ENJOY!